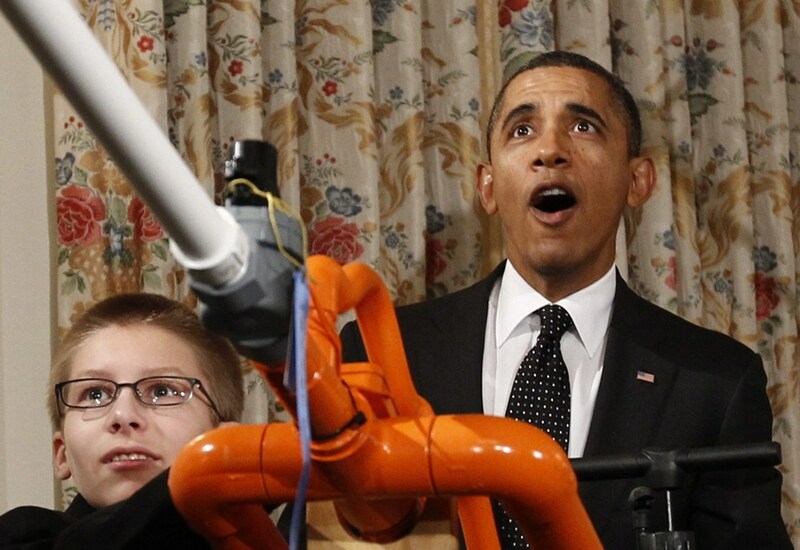 Joey Hudy announced the inaugural White House Maker Faire and fired a marshmallow cannon with President Obama. January 23, 2015 – The inaugural Boulder Mini Maker Faire will be held at the Boulder County Fairgrounds in Longmont on January 31 and February 1. More than 100 hackers, hobbyists, designers, coders, toy makers, educators, sculptors, artists and tinkerers will exhibit hands-on activities for the entire family. Joey Hudy, the young maker who fired a marshmallow cannon with President Obama, will be speaking at the Boulder Mini Maker Faire. The self-proclaimed “general nerd” says his favorite projects include making 3D scanners, Arduino kits, and a 10×10 LED array cube powered by an Intel Galileo. Maker Faire is an event created by Make magazine to “celebrate arts, crafts, engineering, science projects and the Do-It-Yourself (DIY) mindset.” Make Magazine assists independent event organizers in producing small-scale Maker Faire events in local communities. Part science fair, part county fair, and part something entirely new, Maker Faire is an all-ages gathering of people who enjoy learning and who love sharing what they can do. It’s a venue for makers to show examples of their work and interact with others about it. As the movement has gathered increasing momentum, makers have created their own market ecosystem, developing new products and services. The combination of ingenious makers and innovative technologies such as the Arduino microcontroller and personal 3D printing are driving innovation in manufacturing, engineering, industrial design, hardware technology and education. A record 195,000 people attended the two flagship Maker Faires in the Bay Area and New York in 2013. The Boulder Mini Maker Faire will be held at the Boulder County Fairgrounds, 9595 Nelson Road, Longmont, CO.